The reactor at the Broadridge experimental nuclear station runs out of control when two unstable elements accidentally come into contact. 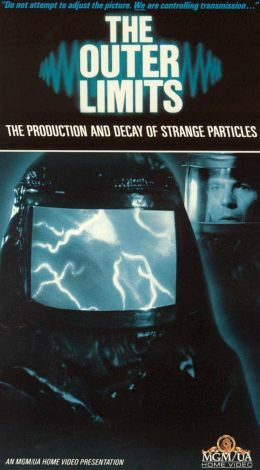 As Dr. Marshall (George Macready), the station director, struggles to understand what is happening, deadly radiation pours out of the reactor furnace, killing the men trying to control it and replacing them inside their anti-radiation suits with creatures made of pure electromagnetic energy. Marshall is the sole survivor among the scientists and seems incapable of coping with the danger, overwhelmed by his fear of radiation and the seemingly inevitable chain reaction boiling up in the furnace. With help from his wife, Laurel (Signe Hasso), he finds the courage that he needs and deduces what is happening -- the combination of heavy elements bombarded with cosmic radiation has ripped open an inter-dimensional hole, through which these "particle creatures" are entering, and they are trying to widen the opening. The only chance to stop them is to initiate a fusion reaction that could seal the inter-dimensional hole and cut the creatures off from their energy source, destroying them. But does Marshall have the time or strength, in the minutes left to them, to prepare a jury-rigged hydrogen bomb?